About a decade ago, Wil Forrest strode through the corridors of the East Liberty Presbyterian Church and settled into a pew. On his left sat a homeless man. On his right, a man in a dress. 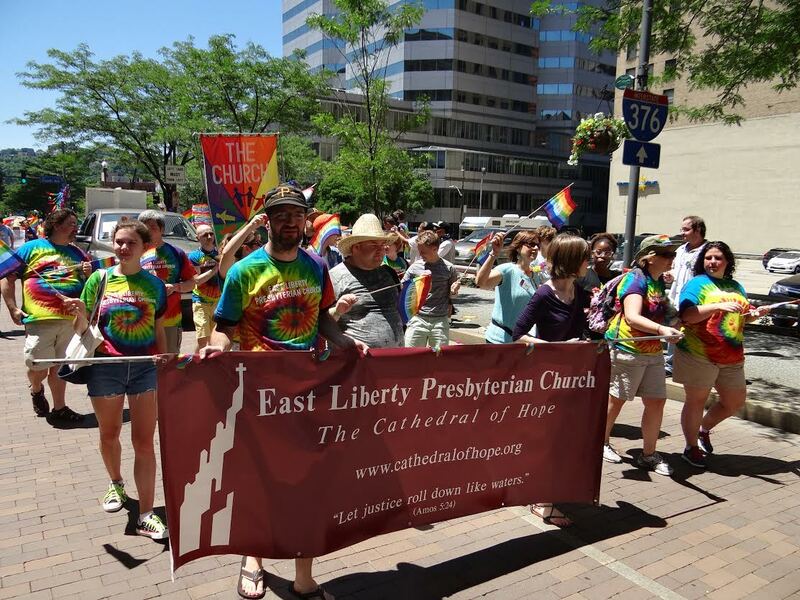 Forrest, founder of the Lesbian, Gay, Bi-sexual, Transgender and Questioning ministry at the church, says that experience encapsulates the heart and soul of the East Liberty Presbyterian Church. With the addition of the LGBTQ ministry, the church has demonstrated its commitment to worship and prayer in ways that go beyond boundaries of race, class, ability, culture, age, gender and sexual identity. Forrest, 43, initially worked with the church’s voluntary ministry. He started the LGBTQ ministry in 2013 because of the church’s inclusivity, and because he had a desire to be a catalyst for change. “Me and some other folks were ready to make something happen for this community,” Forrest says. Because the church emphasizes inclusion, the ministry grew out of an already existing belief structure and practice. The ministry strives to spread awareness, and help members of the LGBTQ community in their struggle to be open with God and the Church. “There have been generations of LGBTQ folks who have been told that they are awful and abominations, and just because we wave the wand and say, ‘Oh, now we love you,’ they’re not going to be coming and knocking on our door,” Forrest says with a tremble in his voice. Eric Rhodes, a member of the LGBTQ ministry, met Forrest last year and they bonded over their mutual interest over the issue of inclusion. Rhodes believes his spirituality helps him cope with challenges and sadness that he has faced throughout the years, rejection being the most difficult to endure. Meetings are held one Saturday each month. For Forrest, setting the right impression for the first meeting was crucial. “It sets the tone and can be either inviting or be repelling, just because people are at different stages of being out,” Forrest says. The meetings begin with food and drinks and then move on to book readings and spiritual talks. 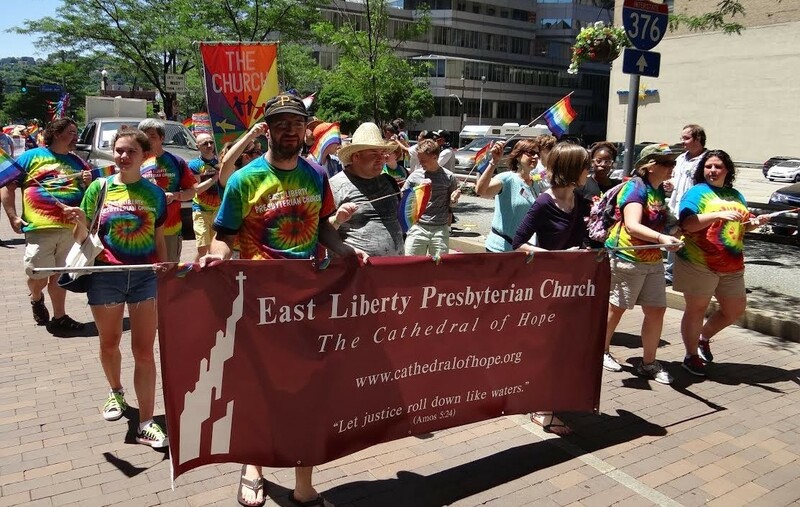 The group recently started a book titled, Jesus, The Bible, and Homosexuality, by a man named Jack Rogers who used to lead the Presbyterian Church USA. After studying homosexuality, the author went from being anti-gay to accepting. Rogers’ book allows the group to converse about others’ journeys into acceptance. The stories told during the meeting are “the life blood of what pulls this group together.” Forrest says. “Some stories are heart-wrenching and some are hilarious, but they are what allow us to understand and grow with one another,” he says. He recalls one story in particular that was told by a young woman at a spiritual gathering within the past couple of months. This woman’s story was different than others because she was currently in the process of coming out. Her journey had been anything but easy. Forrest’s office, on the second floor of the church, is lined with pictures, gay pride flags and stickers, all exemplifying his passion for his community. His pride in what he does is admired by his following. As he looks at the LGBTQ memorabilia on his bulletin board, he reflects on moments that have made the organization what it is today. 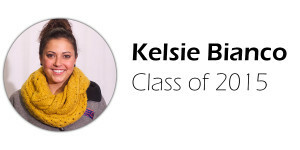 From National Coming Out Day, to attending the Renaissance City Choirs, exposure has been key. “I think the events are more for the people who are watching us to remind them that not every church is against us,” Forrest says. For Forrest, there are two defining facets that make this ministry effective and special, the first of which is the visibility of the group in the church.